Available in eBook atClick to be redirected to the ebook retailer of your choice. After selling his major’s commission in the Dragoons, Lord Roman Sullivan wants nothing more than a calm, sedate life in the country where he’s agreed to act as steward over his father’s estate. Society is no place for a man who can’t sleep without fear of attacking an innocent in the night, after all. But upon his arrival, madness lands in his path in the form of a secret-keeping pixie of a lady, a precocious boy, a lady in the throes of dementia, and a band of rabidly loyal servants, who combine to capture both his attention and what’s left of his heart in one fell swoop. Bethanne Shelton keeps a great many secrets, most of which are not hers to reveal. Keeping them close to her chest is the one sure way to make certain her life remains as normal as possible. Even her family can’t discover the truth, lest Finn be taken away from her. In order to protect him, she ignores the whispers of pariah and worse. But her Aunt Rosaline’s health is rapidly declining, and Roman is the only one able to calm her. He’s getting too close, and if he unveils Bethanne’s mysteries, she’ll lose her family. One thing is certain: no matter what happens, she is bound to lose her heart. Looking for information about Shelved, the unreleased third and final book of the series? Read more about it here. An itchy quiet, thick and unnerving, blanketed the house like a wet woolen blanket. Silence never descended upon the Cottage at Round Hill, aside from those rare midnight moments while the rest of the household slept, leaving Bethanne Shelton with a few ponderous intervals in which to breathe. But this was not the middle of the night. The sun was still making its passage across the sky, hidden behind snow-filled clouds for the duration of its journey. At this time of day, silence could mean nothing but a new cause for anxiety. If there was one thing on this earth Bethanne did not need, it was another worry to add to her ever-growing list. “Aunt Rosaline?” she called out. Bethanne slipped out of the cozy parlor at the front of the house and into the entryway. She looked from one end of the corridor to the other. No one was there. “Aunt Rosaline,” she repeated, a bit more loudly. Yet another thing for Bethanne to do—and sooner rather than later, it appeared. Or someone else. Bethanne and Joyce passed a knowing look between them. Surely, the cook was thinking that very thing. She’d worked for Aunt Rosaline since well before Bethanne’s arrival. Joyce had seen Aunt Rosaline at her best. And at her worst. Bethanne hoped they’d all seen her at her worst, at the very least. But of late, all of her hopes had been in vain. Nevertheless, she couldn’t just stand around hoping things would be all right. “Let’s split up, shall we? You search the house—mainly the ground floor. She can’t get up the stairs on her own very well, at least.” Thank the Lord for small mercies. “I’ll see if she’s made her way past us and outside somehow.” Bethanne shuddered at the notion, but there was no time to waste with such thoughts. The cook nodded and scurried off to do as Bethanne had asked. Smoothing her trembling hands over her skirts, Bethanne gathered all the resolve she could muster and headed for the back door. She didn’t take the time to don a pelisse, let alone anything more substantial, to ward off the chill. The few seconds such a task would require could mean all the difference in the world. The rose garden seemed a likely place for her aunt to have wandered. Certainly more likely than the front yard. Passing horses and carriages seemed to make Aunt Rosaline nervous of late, since she couldn’t always see them until they’d nearly run her over. With the failing of her mind, Aunt Rosaline’s fear, at least in this instance, was Bethanne’s blessing, to be sure. Stepping outside, Bethanne took a cursory look around. Nothing seemed to have been toppled over or knocked aside. Such things weren’t always the best indications, however. “Aunt Rosaline?” She made her way through the winding paths, scanning the ground for her aunt’s prone form. Each step increased the galloping pace of her pulse. A few minutes later, she’d scoured the entire rose garden and found nothing. Not even a trail of footprints in the snow. Of course, the snow was still coming down, having just started that morning—the season’s first snowfall. Why must it portend something awful? Bethanne shook the thought aside and settled back to her task. Depending on how long Aunt Rosaline had been gone, the footprints could have easily been covered over already. Where to look next? The path leading to the pond, or the trail through the arbor—the one leading up to the hills? Hugging her arms to her chest for warmth, she passed her eyes over her two choices. As before, nothing was out of place. Bother! “Aunt Rosaline?” she tried again, the force of her call increasing with each repetition. What she wouldn’t give for something to indicate which route was more likely to yield results. “Both the pond and the arbor.” No wonder the older woman was gasping for air. With a brisk nod, Bethanne ruminated over the newest information. “And I’ve searched the garden,” she murmured. Bethanne and Mrs. Temple locked gazes. No words were necessary. As one, they turned and skirted around the outside of the cottage, nearly sprinting for the front of the house. Or, more precisely, for the hole in the fence where it had broken—after Inwood had left them, of course—and the grim possibility that neither of them wished to face. “Aunt Rosaline?” Bethanne shouted as they came around the side of the house. There was no sign of her. Two freshly fallen pickets lay on the ground, making the hole wider than before. An ominous sign, if ever Bethanne had seen one. She swept her eyes over the road for any other sign of Aunt Rosaline’s departure. Nothing. She couldn’t waste any more time. Bethanne took off on foot before they could respond. Perhaps because she was traveling as fast as she could, her half-boots squeezed her toes in the cold. She’d have blisters in no time. But slippers would have been worse, and there hadn’t been time to prepare the carriage. At least Aunt Rosaline would be moving much more slowly than Bethanne was. She said yet another silent prayer of thanksgiving. These petitions were becoming more and more of a habit, of late. Several moments after she’d left, the clatter of a carriage traveling along the road behind her grew loud in her ears. Bethanne moved off to the side of the road. It drew up alongside her. Even with the dreary clouds overhead, the Marquess of Herringdon’s crest glinted on the side of the conveyance. Was His Lordship returning to Hassop House? Whatever for? He’d always been one to remain either in London or his principal seat in Yorkshire, only making visits to Hassop in the pleasant weather of summer—and those visits were few and far between. Bethanne couldn’t recall a single visit since she’d been in residence at the cottage, and she’d come to care for her aunt nearly eight years ago now. The carriage was brimful with trunks and other possessions, however, leaving no room for a passenger inside. Perhaps the marquess and his wife were traveling in a separate coach. Bethanne looked back, but nothing else was on the road. He’d never have offered if he knew what the townsfolk thought of her. Surely, he was not part of the local staff, but more likely Lord Herringdon’s London or Yorkshire staff. She oughtn’t to intentionally blemish Lord Herringdon’s name by “consorting” with his servants or some other such rubbish, whether this particular driver knew her to be the local pariah or otherwise. She caught his eye for a moment. “There may be another lady afoot ahead on the path. Please do be cautious.” There was no telling what Aunt Rosaline might do if she were startled by a strange carriage and driver. Bethanne waved him on his way and, after a moment’s hesitation, he flicked the reins. His team picked up speed yet again. They drove out of sight within minutes. After she’d traveled at least a half mile in the biting wind, perhaps closer to a mile, she caught a glimpse of bright jonquil fabric up ahead. Aunt Rosaline? But then, who else would be out on foot—particularly alone—on such a day? Only a blithering idiot such as Bethanne. “Aunt Rosaline!” She picked up her pace until she reached a run. The jonquil form before her gradually grew until there could be no doubt. She ran faster, despite the sharp bite of pain assaulting her lungs each time she took in a bracing gasp of cold air. When she finally caught up to her aunt, the older woman was seated on the ground. Her skirts were spread out around her, and she held one of her own boots in her hands. “Aunt Rosaline? What are you doing out here?” Bethanne kept her voice quiet, smooth somehow, despite her tattered nerves. Now was not the time to startle her aunt. It only took the slightest provocation these days. Aunt Rosaline looked up at her without comprehension. No doubt, she’d forgotten who Bethanne was again. This would not be easy. But then again, when was anything in her life ever easy? Not in quite some time, at the very least. “Aunt Rosaline, Uncle Drake lives at Ainsworth Court. He’s well over a hundred miles away. It would take us days to get to him.” Weeks on foot, but there was no need to voice that. Bethanne bent to put the boot back on her aunt’s foot. Bethanne ignored the hands trying to force her to stop. She tied the laces on her aunt’s boots. “Of course, you’re right. But I’m afraid he is from home at the moment.” Maybe taking a different tactic would work. “I believe I saw his carriage heading away. Perhaps we should return to the cottage and send him a letter.” She had seen a carriage making its way down the road moments before, after all. It hadn’t been Uncle Drake’s carriage, but maybe Aunt Rosaline would believe it had been her brother’s. Surely she’d seen it as well. Bethanne exhaled a silent breath, though the chill in the air betrayed her. Thank goodness Aunt Rosaline would be reasonable today. Maybe she could get her home without any more complications. She straightened herself and reached out a hand to assist her aunt. Once they were both on their feet, Bethanne tucked Aunt Rosaline’s hand into the crook of her arm and tugged her in the direction of the cottage. The house came into view none-too-soon. The cold had enveloped Bethanne to the point that her teeth were chattering and her fingers felt numb. If she were this cold, heaven only knew how long it would take to warm Aunt Rosaline again. When she turned up the lane and tried to lead her aunt into the yard, their smooth journey came abruptly to an end. “What is this place?” Aunt Rosaline stopped short and pulled her hand free. “This isn’t my home. Who are you?” Her eyes darted about frantically. Any moment, she would run. Bethanne had seen this precise reaction far too many times to count. Joyce hurried out of the house just in time. “Oh, thank goodness you’ve found her.” Mrs. Temple came out only a moment later, carrying blankets to wrap around them. “Come inside, Aunt Rosaline,” Bethanne coaxed. “We’ll explain everything when we’re in the warm house. Joyce will make some tea and your favorite biscuits. It will be lovely.” She ever-so-carefully reached out a hand to grasp her aunt’s arm. Aunt Rosaline snapped her arm back in a surprisingly strong movement for her frail form. “Don’t touch me. I don’t know you. 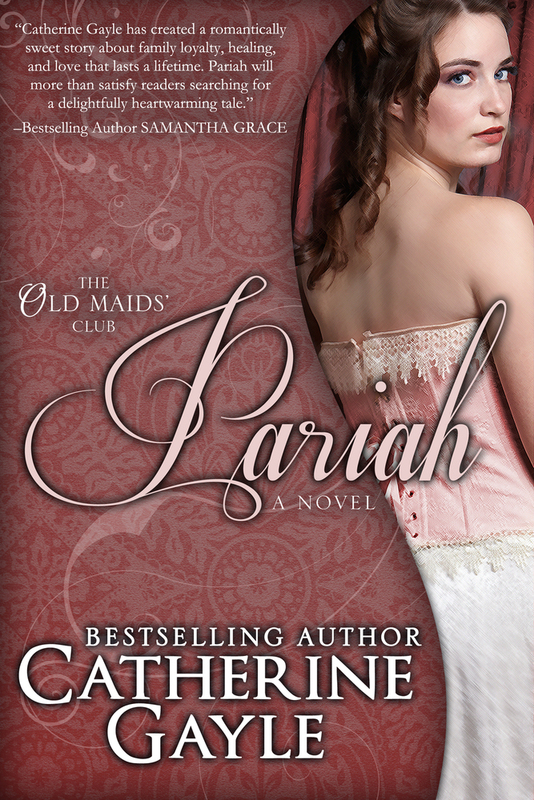 I’m not going anywhere with you.” Her wide, fearful eyes bored through Bethanne, like she was attempting to accost her. Joyce and Mrs. Temple joined them. As a group, Bethanne and the servants formed a circle around Aunt Rosaline so she couldn’t escape again without a struggle. “Here we are, my lady,” Mrs. Temple said. She draped one of the blankets over Aunt Rosaline’s shoulders and smoothed her hands over her back. With Joyce on one side, Bethanne on the other, and Mrs. Temple taking up the rear, they attempted to move the lady into the house, but Aunt Rosaline dug her heels into the ground. She wouldn’t budge. “They’re kidnapping me! Someone help! Call the watch!” Aunt Rosaline struggled against them, kicking out with her foot and connecting with Bethanne’s ankle. She bit back a blasphemy and kept trying to propel her aunt forward before the entire neighborhood came out into the street to witness the commotion. The three of them were able to lift Aunt Rosaline bodily and carry her inside, despite the constant thrashing resistance she put up. Bethanne froze. The front door swung closed, shutting Finn outside in the cold with the racket of a horse galloping hell-for-leather along the roadway for company. Bethanne loosed her grip on her aunt and left her in the care of the servants. With her blood freezing to a trickle in her veins, she bolted out the front door. The beast reared back when Roman ripped against the reins, nearly unseating him in the process—but at least it came to a stop. More than enough crimes could already be attributed to Lord Roman Sullivan, youngest son of the Marquess of Herringdon and former major of His Majesty’s Fifth Dragoons. Today of all days, he would not add Trampler of Toddlers or Decimator of Dwarves to the myriad names he’d already come by naturally: Murderer of Men Much Better than Himself, Betrayer of his Best Mate, and Widow-Maker, amongst countless others. But no. Those days were in the past. He had no more men serving beneath him, nor would there ever be again. At least not in that manner. Otherwise he wouldn’t be here now, wouldn’t have nearly trampled a child, wouldn’t have been caught thinking of the blasted vial tucked securely in his coat pocket, just over his heart. Roman ought to have been paying attention to the road before him, to his surroundings. Where had his training gone? A soldier should never neglect his situation. A lack of awareness could mean death, and not only in the midst of a war. He could have killed the boy. When his mount stopped prancing in place, Roman dismounted and pulled the child up with one arm, holding tight to the reins in the other. The boy would be safer in his grasp than on the ground, at any rate. A small, pudgy hand came up and patted Roman on the cheek. “Pretty horsey,” the boy cooed with a grin as wide as the Channel. At almost the same instant, a screeching woman flew from the house. “Finn! Stay right there.” The guilty nurse, it would seem. She stopped abruptly, nearly falling over at the top of the steps from the suddenness of her halt. The harridan would have to be dealt with. Roman prepared himself to give her a stern talking to for neglecting her charge so badly when all hell broke loose around him. “Give me back my—the boy,” the haughty little pixie demanded of him. She planted her hands on her hips and stared up at him with a fear-tinged, green-eyed glare as she pressed forward again, coming ever closer to him and not stopping until they stood toe-to-toe. While any number of things might have been the cause of her fear, Roman had a strong suspicion he was the primary culprit. Damnation. This sort of distraction was not in his plans. The top of her head didn’t even reach his shoulders and her mahogany curls had come free from their confines, cascading in waves nearly to her waist. Her gown was some pink shade, matching the wind-swept hue of her cheeks to perfection. The dress was not made of the serviceable gray worsted one would expect of a nurse, though. How odd. And then another woman—a larger, older version of the beauty, wearing a yellow redingote—darted out the front door of the cottage, screaming like a banshee and rushing straight for him. Three female servants (in the expected gray, he noted) dashed out behind her. But the woman in yellow didn’t stop. In fact, she would have trampled him if Roman had not planted his Hessians deep into the earth and held firm, keeping the boy held aloft to prevent injury. He dropped the horse’s reins and helped set her to rights when she ran straight into his side. “Oh, thank goodness. They’ve kidnapped me, sir,” she panted. “You simply must help me.” She nestled herself beneath his arm and had the look of a woman who never intended to budge. Kidnapped? Surely, the ladies before him might be a bit negligent when it came to the boy’s care, but they hardly looked like a band of miscreants. The sprite in pink closed her eyes and took a breath before resolutely looking up at him. “My aunt is addled, sir. Her mind is not what it once was. Kindly release her and hand over the boy. The servants and I can manage things from here. Then you can be on your way again.” She even dared to wave her hands at him in a shooing motion, complete with an arch of her dainty eyebrow. Could she truly think to do away with him as easily as that when considering her so-called aunt’s accusation? “Am I to understand you’ll handle them in the same manner in which you’ve handled everything else to this point?” Roman asked dryly. Perhaps she was the addled one of the bunch. Or on second thought, maybe the term could apply to the lot of them. They did all seem a bit shifty-eyed. As much as Roman would prefer to simply leave them all to sort it out on their own, to get away from the pandemonium which held these women in its grips, Roman couldn’t turn his back and walk away for some godforsaken reason. Was he cursed to always live a life surrounded by turmoil? If not war, then a tumultuous band of women? “Why don’t we go inside and discuss what is to be done?” Roman didn’t wait for their answer. He’d made his decision. Keeping the boy in his arms and a firm grip on the lady at his side, he clicked his tongue for the horse to follow him and headed for the open gate, only to stop short. The gate wasn’t simply open; instead, a series of missing pickets had left a gap, some of the broken posts lying on the ground. How had the men responsible for these women allowed such a state of disrepair? Yet another thing for Roman to discern during their discussion. He pressed on toward the house, ignoring the outraged gasp he could only imagine came from the petite vision in pink. “Why, I never,” she muttered. Definitely the lady, not one of her servants. He’d recognize the tinkling, melodic character of her voice anywhere, even though he’d only heard her speak a time or two. When he reached the house, Roman tied the horse’s reins around a column and let himself inside. He held the door open for the parade of ladies tromping in behind him. The gray-clad servants looked up at him with varied degrees of apprehension blanketing their expressions as they passed by. When the lady in pink entered, she took the door from his grasp and shut it with more force than necessary. The click of the lock sounded in the confined space. Surely it was to keep the aunt from another escape, and not to keep him confined. He had no doubt she’d be glad to see the backside of him, and sooner rather than later. Roman did not take orders from anyone but his commanding officers. Occasionally his father. But certainly not from some tiny little slip of a woman who couldn’t manage her family and servants. “Care to direct me to your sitting room?” he asked. She didn’t answer other than to frown at him. Nor did any of her servants. Very well. Roman could find it without their assistance. It was a small house and they had all been designed in relatively the same manner, in his experience. He tucked the older lady’s devilishly cold hand into his arm and led her along with him, scanning the open doorways of the hall. No need to go far. The first door on the left led to a cozy, little parlor in blue with a blazing fire in the hearth. Roman let himself inside, guiding the older woman along and situating her on a settee. He turned and lifted an eyebrow, waiting for the remaining women to join them. They stared baldly back at him, the oldest servant with her jaw hanging agape. Roman didn’t budge. They would cooperate eventually. He had no qualms that he was far more intractable than any of them could be. Indeed, he was likely thrice as stalwart as the four of them combined. Several moments passed in silence before finally the youngest servant—the cook, given the flour dusting her gown and making her hair more mousy than it needed to be—moved hastily inside the room. “Let’s cooperate so he can be on his way, Miss Shelton.” The other servants followed her inside. Eventually, the lady came along as well. She took a seat on the sofa across from him, and her servants took up positions to flank her. When she crossed her feet at the ankles and folded her hands neatly in her lap, the three servants did likewise. They looked to be four mismatched replicas of one another. Mama? She was hardly larger than a child herself. How could she possibly have borne a child? And if the boy was hers, where was her husband and why hadn’t he bloody well mended the fence? But the servants had called her miss. Not missus. Such a befuddling situation. One he’d be damned if he didn’t get to the end of, as soon as possible. Miss Shelton shushed the child and set him between herself and the cook. Then she yet again arched an eyebrow in Roman’s direction, as though daring him to question her about the child. Roman forced the rampant conjecturing from his head and stood straight, placing his hands behind his back. He had not come to Derbyshire to sort out the chaotic lives of these women. He was here to take over the stewardship of his father’s estate. He was here because he had no business being in polite society. He was a danger, and not only to himself. He couldn’t allow anything to get in the way of remembering that truth. “Miss Shelton, is it?” At her curt nod, Roman continued. “I am Major—I am Lord Roman Sullivan, one of Lord Herringdon’s sons. I assume you know of His Lordship?” He waited for her gesture of confirmation. “Excellent. So now we are introduced. And your aunt?” He saw no point in denying the obvious familial link between them. In her younger years, the aunt must have looked very similar to Miss Shelton, apart from being significantly taller. Terse answers. In a way, he appreciated that. Roman despised effusive language when something brief and to the point would do much better. She gave him nothing more than specifically what he asked. “Who has he left here to look after you both?” Roman couldn’t imagine any gentleman leaving his spinster sister with no one but this slip of a girl and a handful of servants to see to her needs, particularly not when the sister in question seemed to be in such a decline of mental capacity. It was absurd. There didn’t even appear to be a single manservant on the property. Who would protect them should something occur? The pixie narrowed her eyes at him. “I look after us, not that it is any of your business, my lord. And on that note, I must bid you good day.” She stood, brushed her hands over the skirts of her gown, and gestured for him to exit the parlor before her. Miss Shelton gave him a stern look. “Have a lovely afternoon.” When he didn’t budge, she marched out into the corridor to the front door, unlocked it, and held it open for him with a wave of her arm. Dumbstruck, Roman crossed the room. He’d never been so summarily dismissed other than by Wellington, himself. And that had been an occasion which he’d attempted to forget with no luck. He turned and bowed to the ladies in the room, then inclined his head to Miss Shelton. Then he left, with a burning curiosity about this odd woman and her band of merry servants…and the child. The young woman made her way back to her seat as he strode from the parlor. “Alas, I can’t take you with me, either. I could not do such a thing to your reputation, my lady.” Not to mention he couldn’t put her in such danger. With that, she released his hands. He backed up a few paces. As he turned to go through the door, Miss Shelton’s panicked gaze caught him and held. Roman shook it off and kept going. He’d be damned if he denied Miss Shelton’s aunt such a simple request. After releasing his mount, he climbed into the saddle and continued down the road. He gave a cursory pat over his chest. The small, glass bottle remained in his pocket, intact and unscathed. That helped him to breathe again, at least for a moment. But then the image of a pixie in pink glaring haughtily up at him assaulted his thoughts. Roman couldn’t let this Miss Shelton take over his mind. He had far more important matters demanding his focus. One thing he had promised himself when he sold his commission was that he would somehow discover a life with no complications. No disorder. Miss Shelton was nothing but disorder.